I've been quite busy with hobby during the last couple of weeks. I know that the content of blog doesn't reflect that but I've been mostly working on a project I'm entering into a Wyrd Frozen Moment painting contest and for obvious reasons I can't show anything from that here. I have some catching up to do as there are a few inis I'd painted before I actually got started on the competition project. The first one from these is a Lone Marshal. I've already painted one before so it went even faster this time round. 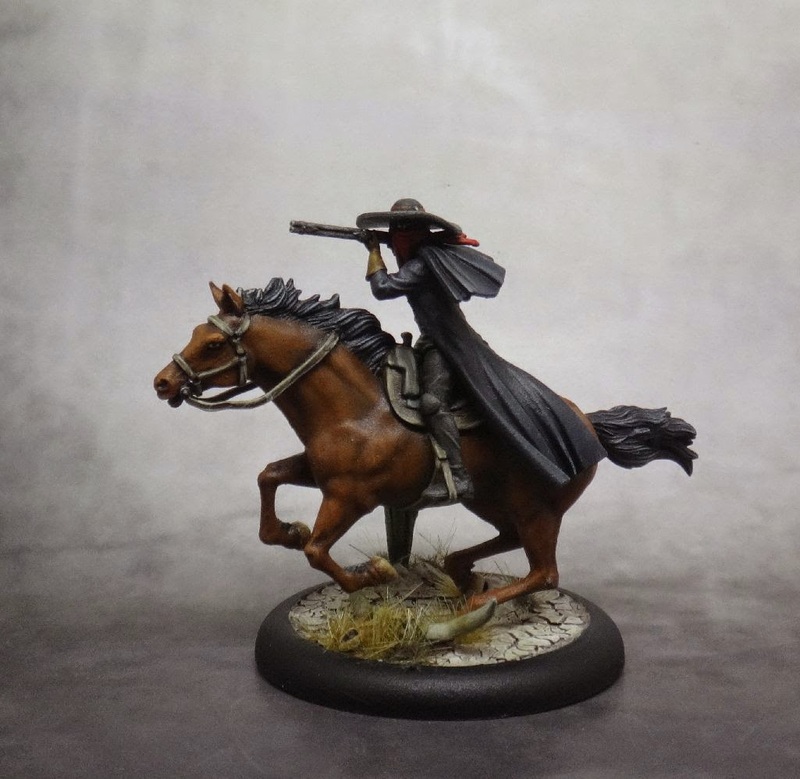 I used the same color scheme for the horse and the Marshal but chose to do the base differently so that he would fit thematically better with my Perdita crew. Now that I look at it and compare it to the previous version, I think the brighter base works even better as it nicely contrasts with the rider's dark clothes.The only thing I forgot is the gun holster. Either I lost it or it wasn't part of the boxed set. Either way, I don't think it's a big deal as it's not an essential part of the model. I only realized it was missing when I started painting him. The model is very nice but the rider seems a little too short compared to some of the other plastics. 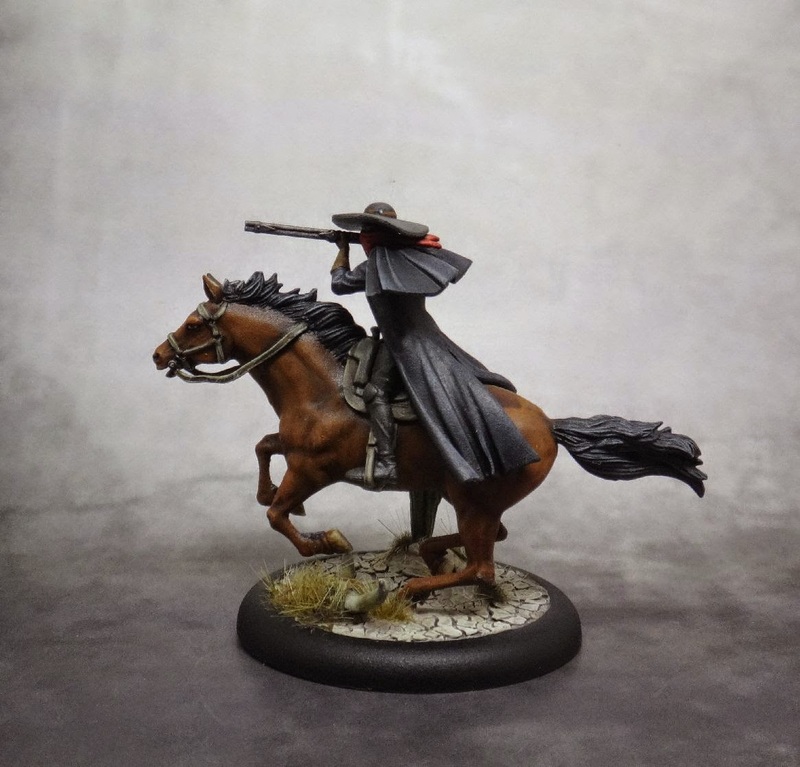 The issue of proper scaling is the only problem I have with Wyrd plastics. It just seems like some of the models are either too big or too small. 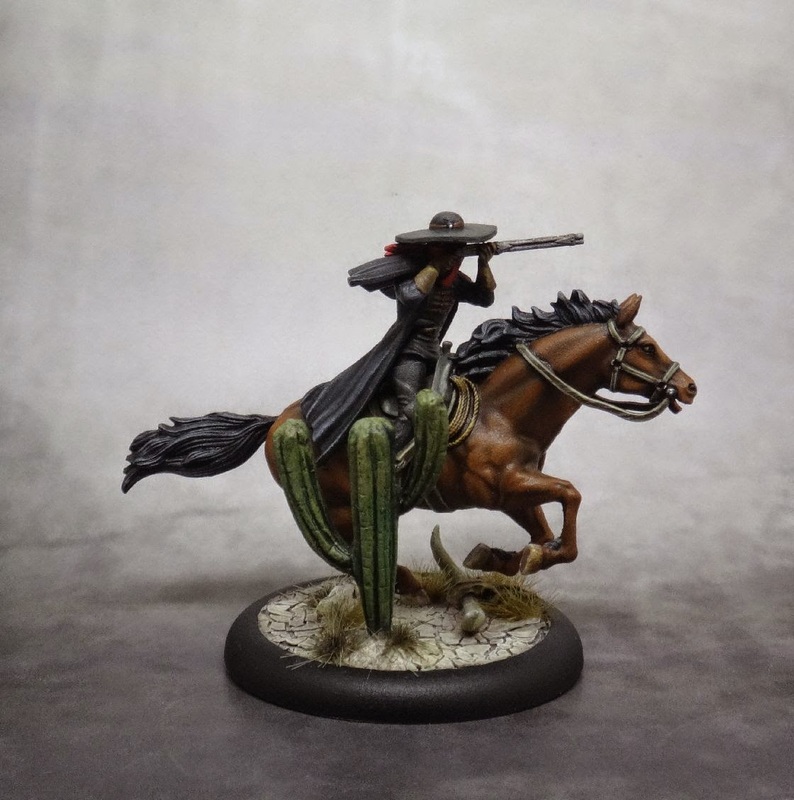 Lone Marshal brings a nice hit-and-run option to the table for Guild crews. He has (2) action called Trick Shooting which allows him to push, shoot with a + to Attack and Damage, and then push back again. While his damage profile isn't that impressive, this attack can still be annoying as it can be hard to get back to him after his second push. Hard to Wound and Bullet Proof help with his survivability as well. He can also dish out some damage in melee with his Razored Spurs and has an impressive Cg of 10'. He is on a 50mm base but this attack has a low range of mere 1' so tying more models in combat can be hard. Lone Marshal can be a good choice against Ressers as he's Terrifying against them. I've used him with McCabe and it was a nice option with Elixir of Speed as he was able to effectively fire twice with a positive modifier and get back to safety easily. The biggest downside I see with him is a fairly high ss cost (8) and only 8 wounds, which means that he can go down quite quickly when put against a solid melee fighter.